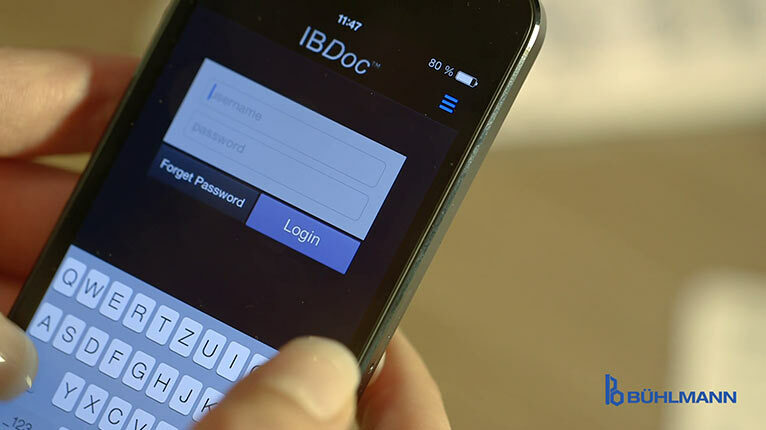 on their smartphone with their IBDoc® account username and password. included in the IBDoc® Test Kit. the stool sample a few times with a twisting motion. 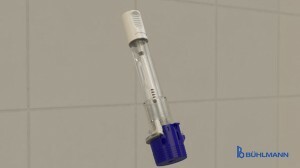 This collects a defined amount of stool in the grooves of the CALEX® Valve pin. The pin is placed back into the tube through the upper funnel. of extract is released by turning the lever. After a few seconds, when the membrane strip of the cassette gets visibly soaked, the lever is closed. 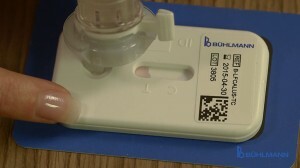 Results are read using the smartphone camera. 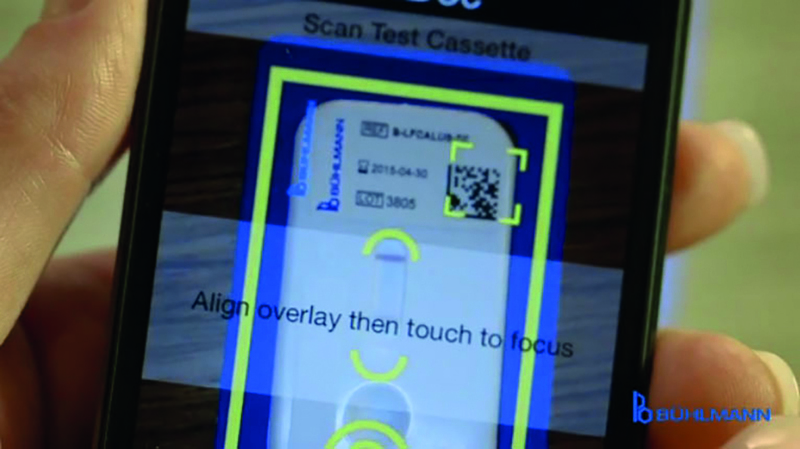 Placing the camera above the cassette focuses and automatically takes a picture. and a quantitative result is calculated by the CalApp®. Using a traffic light code system the result is classified as NORMAL, MODERATE, or HIGH. 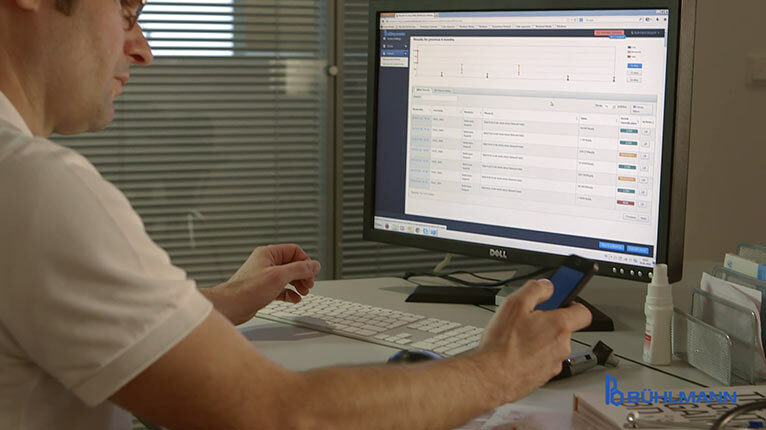 All the results performed on one smartphone are saved locally and can be accessed at any future time. 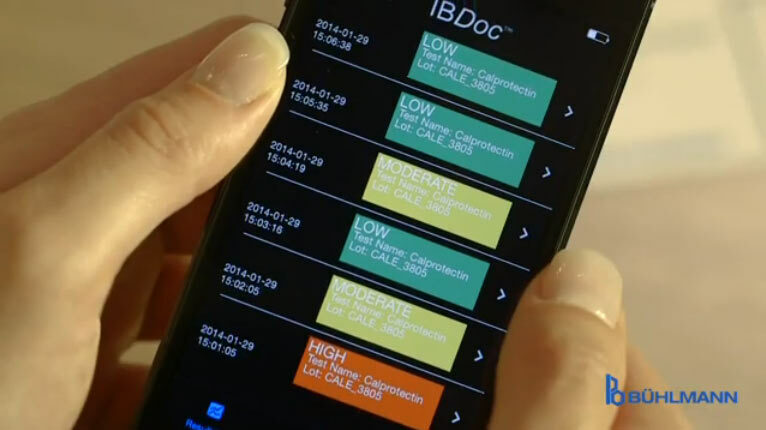 IBDoc® Portal and the patient’s doctor is immediately notified. Depending on the test result the doctor can communicate with the patient to advise on further therapeutic steps to be taken.